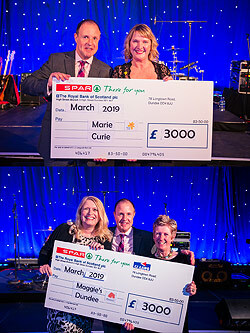 During the CJ Lang and Son Limited centenary gala dinner, donations were made to our national charity partner Marie Curie along with local charity Maggies. Both charities were given a donation of £3,000. The cheques were presented by CEO Colin McLean on the evening.